Checking our Blind Spots | UC Berkeley Student Affairs Community Blog! In driving, blind spots are described as areas and objects around the car that cannot directly be seen by the driver. As we all know, it’s difficult to maneuver and react accordingly when we are unaware of what is around us. In the workplace, we may also operate with our own blind spots in regard to how our behaviors may affect those around us. “Taking our blinders off” by seeking feedback from others may bring discomfort. In the feedback process, we may become more self-aware of the perceptions and actions we create–both the positive and unfortunately, the negative that may affect others. It takes courage to ask for that feedback with an open heart and mind. How can we develop this self-awareness, while actively commiting to remove our blind spots that may bring us comfort? Senior Consultant Betina Schonberger states that the facilitative leader heightens their own self-awareness by examining circumstances that produce unintended consequences. As the Division of Student Affairs, we have the opportunity to examine our own blind spots by responding and encouraging others to take the recent GO BIG Culture Survey sent this week to all staff. Staff will be able to share their current experiences regarding pride, trust, community, equity and inclusion. We can choose to continue and “drive” the same we always have, with blind spots affecting us along the way…however, it’s time to do something different–to share our thoughts of how we experience our work culture and learn about the blind spots we may not have seen up until now. 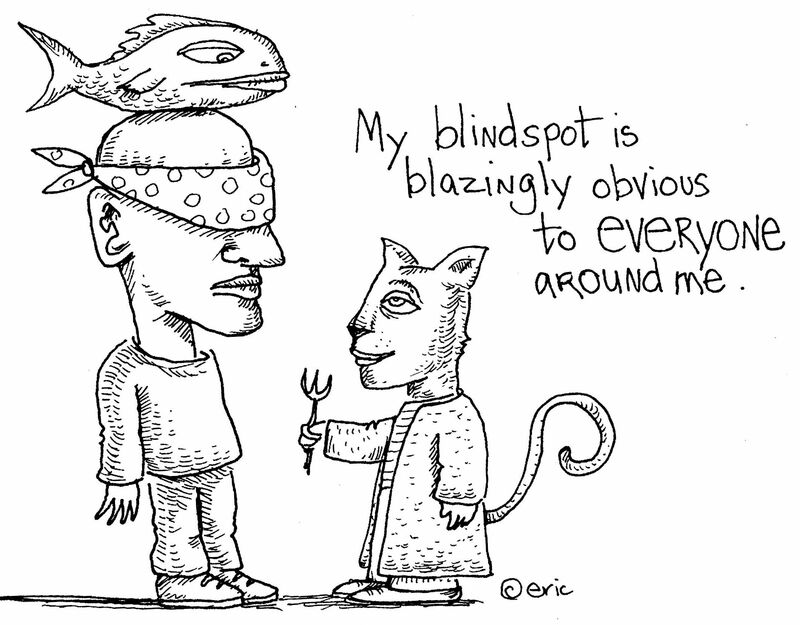 Such a difficult yet rewarding thing to do- looking at our blind spots. It is truly a sign of strength to invite others to share their experiences of our behaviors. The end result is often liberating for both parties. Thanks for sharing this.